Murray is a Dunedinite! Murray is a businessman with strong ties to all sections of the community. Murray, together with his wife Pam previously owned and operated their own supermarket - with a “hands on” leadership style! 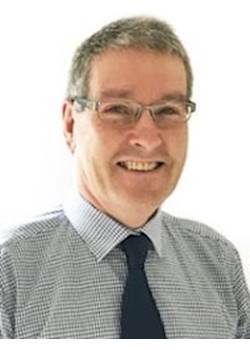 More recently Murray has been a business consultant to business owner/operators, entailing the provision of advice on governance, coaching, staff - recruitment & management. Murray will continue to work from the same office at L7 John Wickliffe House, 265 Princes St Dunedin. But let him know you are coming first as he is often out! For business sellers and buyers Murray is well versed in the practicalities of business ownership and is ready to assist on pre-sale advice/preparation – before the big day arrives! For buyers this preparation offers them a clear and complete understanding of the business, and enables the parties to work together for a smooth transition. Murray’s strengths are strategic and analytical and he enjoys leading both buyers and sellers towards opportunities, clearly defining the route that will lead to success. Away from work he likes to mountain bike, cook and make cheese. Plus the occasional trip “State side” to visit his adult children.